The fourth edition of the AFL New Zealand Premiership will commence the new season on February 17th 2019. Four teams will compete in the Premiership Season based at North Harbour Stadium on Auckland’s North Shore with a 9 round schedule culminating in late April. The AFL New Zealand Premiership will include talented athletes throughout New Zealand with players flying in to Auckland weekly throughout the competition. In a different format to the past three seasons, 2019 will introduce a Grand Final that will see the two top teams compete in the first ever, AFL New Zealand Premiership Grand Final. 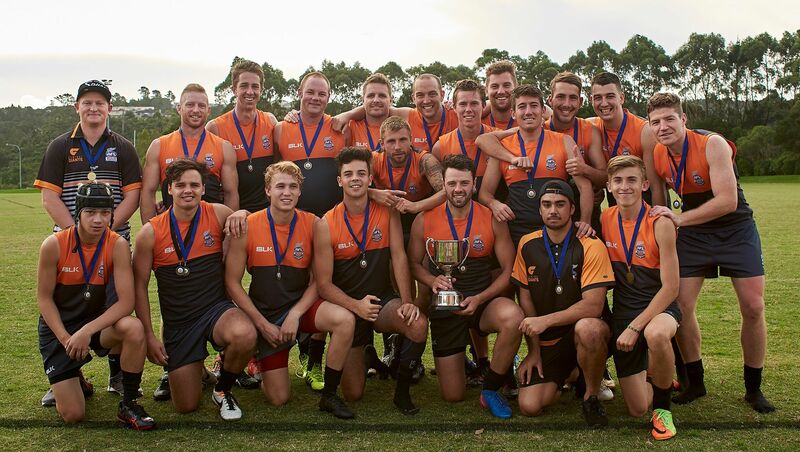 In 2016, the Western Crows, who were led by New Zealand assistant coach Rob Malone were lucky enough to take out the inaugural competition. The Southern Saints captained by Michael Boyce, dropped only one game throughout the season and were crowned champions in 2017. The Central Giants dominated the Premiership in 2018 and claimed their first title in April this year after a consistent season. Following on from the first three AFL New Zealand Premiership seasons, a retained players list has been added and tweaked as an additional tool to create balance and competitiveness within the competition. Further information on the new categories and the Retained Player List will be released in the coming weeks. The AFL New Zealand National Draft will also contain changes to the list categories on which potential participants will appear. Once the Retained Players List has been finalised by the Premiership teams, the remaining players who have not been selected will be re-entered along with those new to the competition, into the AFL New Zealand National Draft and will be available for selection by any of the four teams. The addition of 16 Development players from the 2018 season, now eligible for full selection will provide some exciting insights into the available talent on display. Full details of the National Draft Categories will be announced in the following weeks. The AFL New Zealand Premiership is seen as the perfect opportunity for a higher level competition providing an extension to the traditional regional league seasons spanning between August to December each year.